you will find an offer in your email inbox. I also can help with evaluation kits for prototyping IoT devices. At http://iot-university.org/nb-iot-shield-arduino/ you will find several cellular / GPS radio adapter with Arduino header. The Arduino UNO we use for testing. Prototyping we do on STM32 Nucleo. How can I buy a copy/download of your IoT Cookbook, please? hello Harald, where could I purchase the cookbook? 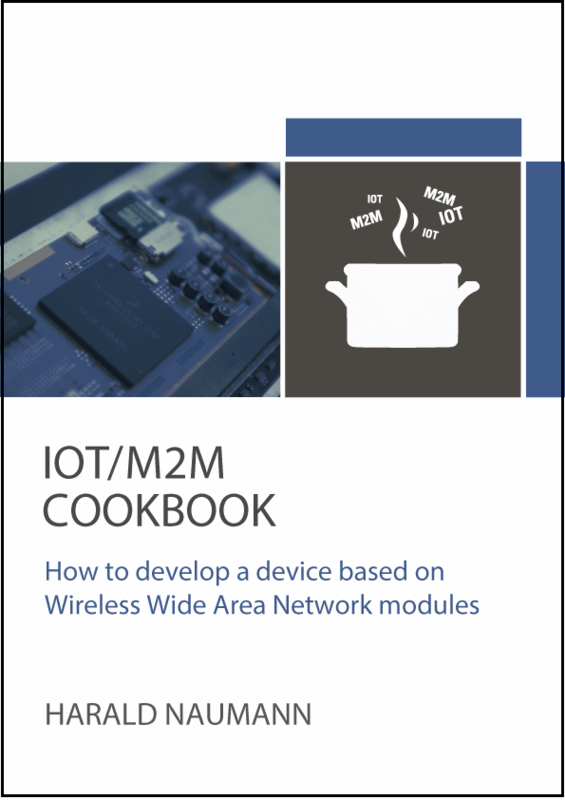 Interested in getting a copy of the IoT M2M Cookbook. I am interested in your book, Can you send me the steps to buy it ? I am also interested in your products. Good work ! Your book is very useful for me. Could you please send me a pdf copy or link. It would be great learning for me. Looking for kind support on this. I came across your website about 2 years ago, I liked what I saw and became very interested on the subject of M2M. Lately I have taken up the interst of IoT and IoT Security. I would like to get a copy of your cookbook to help further improve my knowledge on this fasinating subject. I look forward to your reply at you earliest convenience. Greeting of the day. I am looking to read yyour M2M/IOT Cookbook to add value to my knowledge. I’m interested to buy a copy of your IOT/M2M Cookbook. hey Harald, I want a copy of your book. Thank you! I’ve checked excerpt and your book seems very impressive. Great work! How can I buy/download complete eBook please? I would like to receive a copy of your IoT cookbook if possible. Hi Rashford, you got an offer by email. The antenna is a part of my IoT / M2M Cookbook. Can you send me the steps to buy it ? Hi Rafal, you will find an offer in your email inbox. How could I get a copy of your IoT Cookbook? I would like a copy of your cookbook. How do I buy it. Ich bin auch interessiert in Ihrem IoT cookbook. Dear Guy, I am proud that you can write our complex German language. You got an offer. Requests for wireless modules, antennas, customised antennas and antenna matching are welcome. Hi Patrick, you will an offer in your email inbox. Your order is welcome. Hi Max, you will find an offer in your inbox. I used a NB-IOT evaluation module and it connect to the network successful. However it stopped connecting after I move it to another place (Another Cell). After that it stopped working in initial cell also. Do you have any idea about this issue. Could you send me details on obtaining your book? I’m interested in your book! How could I get a copy of your cookbook? Your book is really interesting to me. How can I get a copy of your IoT Cookbook? I would like to have a copy of your cookbook. How do I buy it? I would very much like a copy of your Cookbook. Can you please let me know how I can obtain a copy? I am interested in obtaining the IoT Cookbook. Please advise how I can get a copy of your cookbook? I would like to receive a copy of your Cookbook. How should I proceed? Please send me information on the availability of your IOT Cookbook. Interested by a copy of the Cookbook. You will find an offer in your inbox. Hi Walter, just have a look in your inbox. Your order in welcome. Hi Vertul, your order is welcome.